Washington, March 21: China has a responsibility to not shield Pakistan, a senior Trump administration official has said, expressing deep disappointment over Beijing's decision to block a bid in the UN to designate Jaish-e-Mohammed chief Masood Azhar as a "global terrorist". Pakistan-based terror group Jaish-e-Mohammed (JeM) led by Azhar claimed responsibility for the February 14 terrorist attack in Kashmir's Pulwama district which killed 40 Indian security personnel. "We think China has a responsibility to also not shield Pakistan, and join the international community in calling on Pakistan to take action against terrorists operating on its soil," the senior Trump administration official said on Wednesday. After the Pulwama attack, the US, France and Britain moved a resolution in the UN Sanctions Committee of the Security Council to designate Azhar as a "global terrorist". The move suffered a setback as China put a "technical hold" on the proposal for the forth time, a move India termed as disappointing. "We believe that China and the US share a mutual interest in achieving regional stability and peace. And that any failure on the Security Council as part to designate Masood Azhar as a terrorist would run counter to this mutual goal that China and the United States have," the official said. Here’s How China Blocked the Listing of Masood Azhar at the UNSC. "We don't really understand this. China should not be shielding Pakistan's support for known terrorist organisations. So, we're hoping that we can work together on a mutual goal in terms of countering terrorism and upholding our security council responsibility," the official said. The Trump administration's view on China's decision on Azhar came as Germany initiated a move at the European Union to list the JeM leader as a global terrorist. 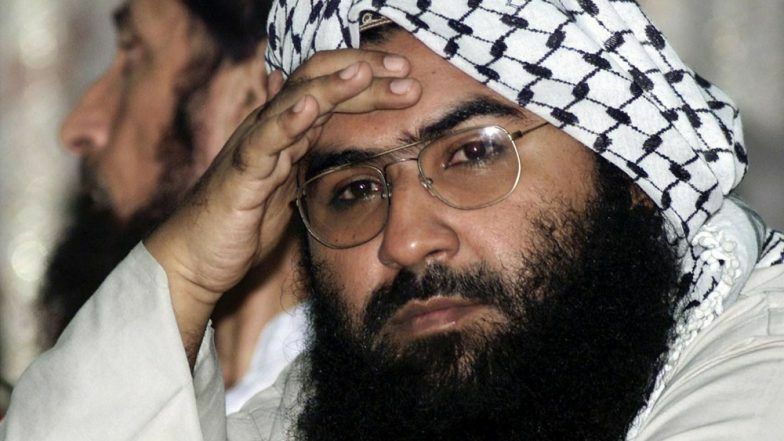 China Blocks Ban on Masood Azhar, Defends Jaish-e-Mohammed Chief For 4th Consecutive Time. Noting that it was not the first time the JeM attacked India, the official said this was the reason the Trump administration thinks now is the time for Pakistan to crackdown on the terror group. This has been made very clear to the leadership of Pakistan, said the official who spoke on condition of anonymity. This same group was responsible for other attacks in India like the 2001 Parliament attack, which resulted in a six-month India-Pakistan mobilisation, the official said.